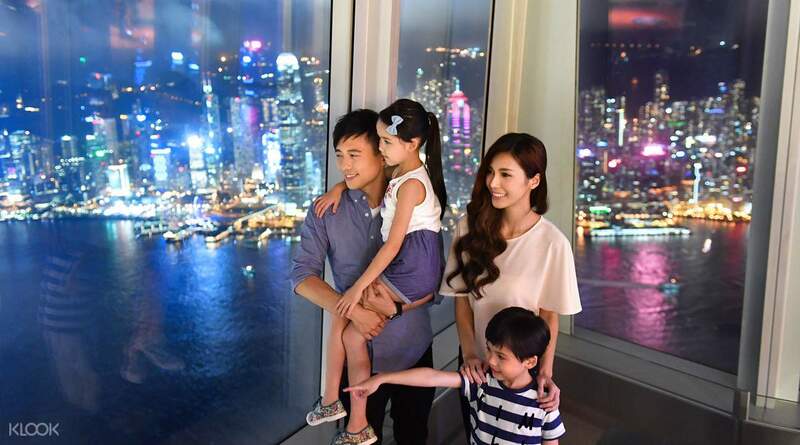 Ride high-speed double-decker elevators to reach the sky100 Observation Deck in just 1 minute! 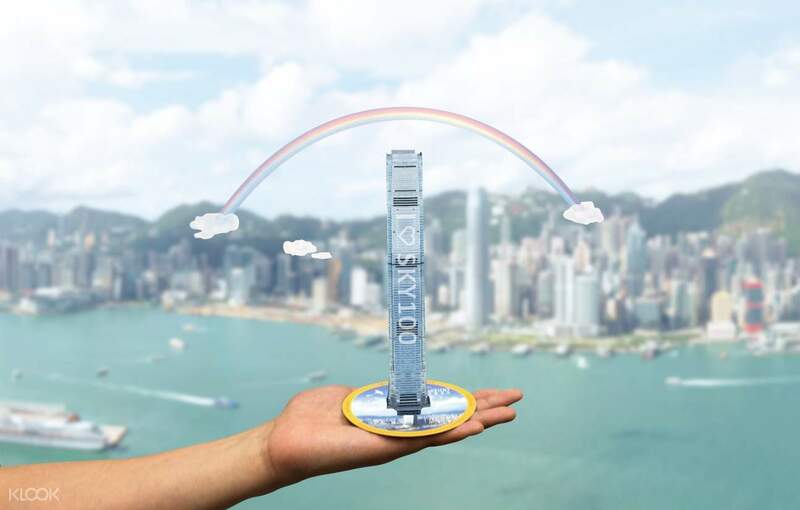 Sky100 8th Anniversary Promotion: From 1 Apr-30 Jun 2019, visitors only need to pay additional HKD8 on site for same day re-enrty! Bought the tickets when we were in the building and decided to visit this place. We paid and imm got our tickets. The place is quite big. 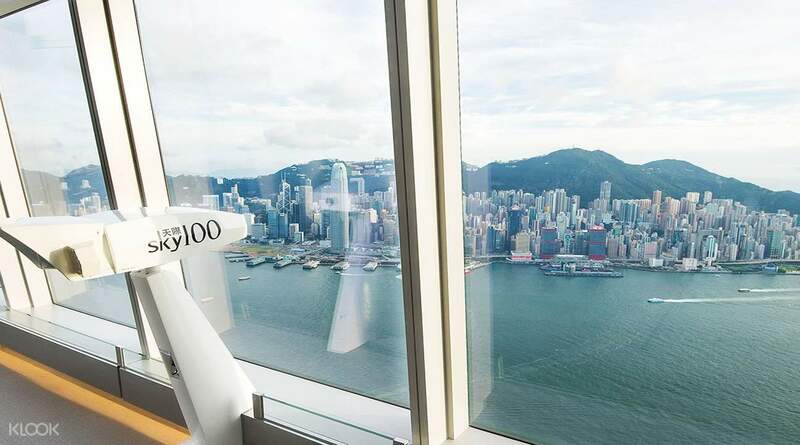 Get a glimpse at the 360-degree views of Hong Kong and the famous Victoria Harbour from the sky100 Hong Kong Observation Deck, located on the 100th floor of the International Commerce Centre (ICC) - the city's tallest building! 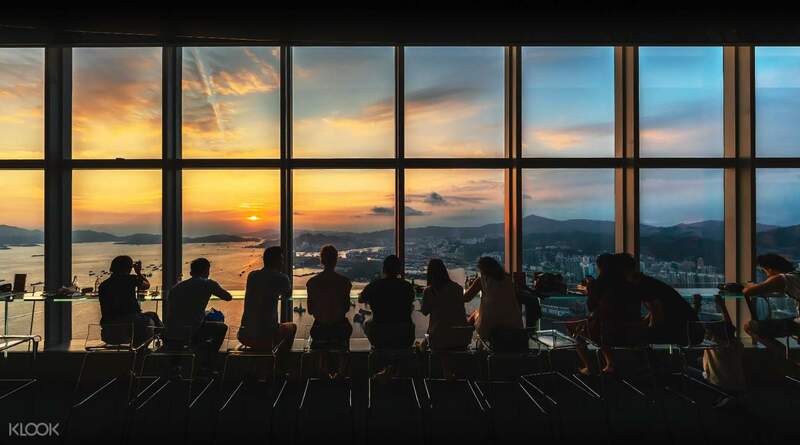 At 393m above sea level, it's the only indoor observation deck that offers such a spectacular view of the city. Book your Sky100 tickets from Klook for an easy and fast e-ticket admission! 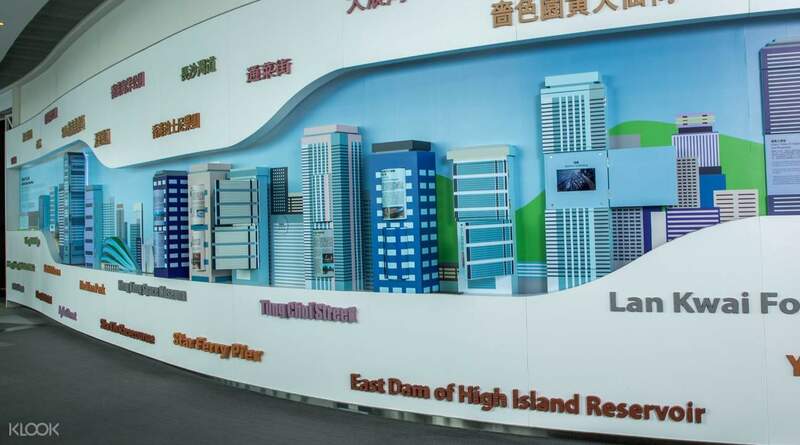 Discover Hong Kong's unique history and culture by viewing the Story Board! 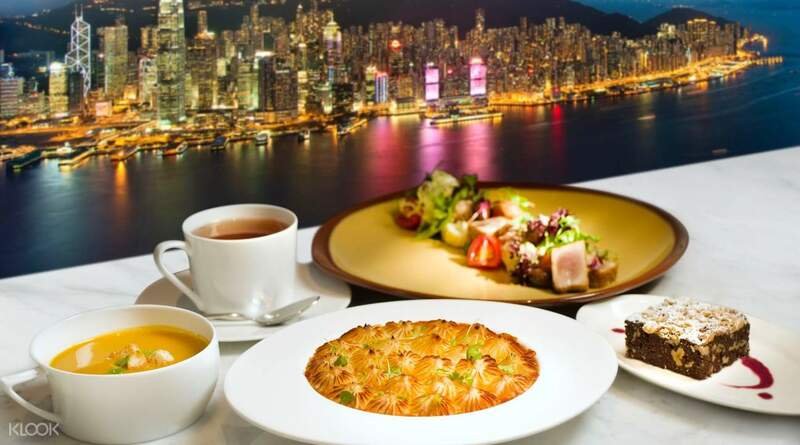 Level up your dine in experiences at Café 100 with panoramic island views and glimpses of soaring skyscrapers! See the sunset and treat yourself with exquisite Café 100 delicacies served by The Ritz-Carlton! Visit around dusk to see the city transition from day to night! Thank you Klook. But for rain, it's a nice experience . Being at the top of the 💯 , we feel thirlled.In one minute traveling 393 metres upwards , just unbelievable.We went again at 6.30 pm. It's awesome. Thank you Klook. But for rain, it's a nice experience . Being at the top of the 💯 , we feel thirlled.In one minute traveling 393 metres upwards , just unbelievable.We went again at 6.30 pm. It's awesome. One of the best place to visit in Hong Kong and very accessible via MTR. Glad we bought tickets through Klook last Travel Fest Blossom Deals – Buy 1, Get 1 for the price of Php 901 only! Just wow! Thank you so much, Klook! More promos to come. One of the best place to visit in Hong Kong and very accessible via MTR. Glad we bought tickets through Klook last Travel Fest Blossom Deals – Buy 1, Get 1 for the price of Php 901 only! Just wow! Thank you so much, Klook! More promos to come. Redemption of ticket was easy - just showed our vouchers at ticketing desk and received a physical ticket. We then headed to the entrance and went in right away as there was no line (it was a Wednesday around 3 PM). We spent about 3 hours at Sky 100, walking aound, enjoying the view and installations, and ate at Cafe 100. Redemption of ticket was easy - just showed our vouchers at ticketing desk and received a physical ticket. We then headed to the entrance and went in right away as there was no line (it was a Wednesday around 3 PM). We spent about 3 hours at Sky 100, walking aound, enjoying the view and installations, and ate at Cafe 100.
wonderful experience, klook is the best.. we took after 6 pm tickets, but reached slightly late. better to reach at 6 to get both day and night view. we stayed and watched symphony of lights and it was worth it.. the music and the lights.. overall wonderful experience. wonderful experience, klook is the best.. we took after 6 pm tickets, but reached slightly late. better to reach at 6 to get both day and night view. we stayed and watched symphony of lights and it was worth it.. the music and the lights.. overall wonderful experience. I suggest you don't come here during winter season especially when it's all foggy since you won't be able to see much due to the weather. Same goes for the Peak. But I personally think it would be a nice experience when you go here on a sunny day, or a calm night with stars and watch the Symphony of Lights from up here. We got complimentary snacks because there was an ongoing event which reserved the whole other side. I suggest you don't come here during winter season especially when it's all foggy since you won't be able to see much due to the weather. Same goes for the Peak. But I personally think it would be a nice experience when you go here on a sunny day, or a calm night with stars and watch the Symphony of Lights from up here. We got complimentary snacks because there was an ongoing event which reserved the whole other side. The experience was great with smooth and easy to redeem the tickets and going up to Sky100. The views are amazing and not to busy or pack which make the experience better. 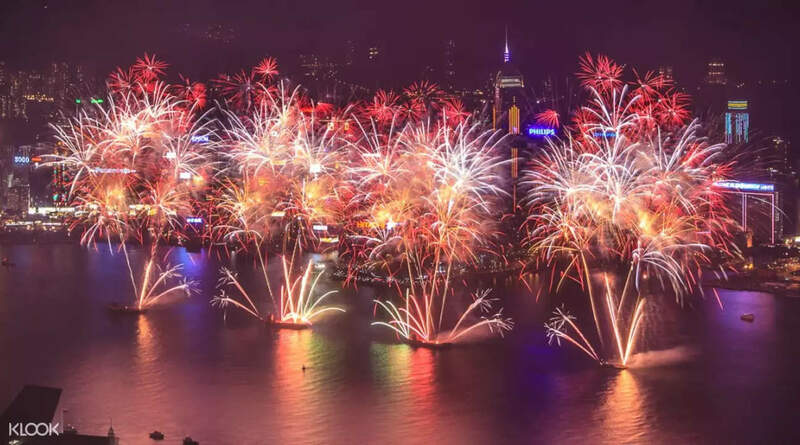 You get a stunning views of Hong Kong island and the Kowloon. Overall, I highly recommended this as it offer amazing views. The experience was great with smooth and easy to redeem the tickets and going up to Sky100. The views are amazing and not to busy or pack which make the experience better. You get a stunning views of Hong Kong island and the Kowloon. Overall, I highly recommended this as it offer amazing views. Hassle free purchasing through Klook. You need to present your purchased voucher in exchange of your entrance ticket. Also, there was no hassle bringing in a carry on luggage with us. Don't forget to download the Sky 100 app for a unique interaction experience. Enjoyed going up the building via its fast elevator. It only took us 1 minute to go up 100 floors! Hassle free purchasing through Klook. You need to present your purchased voucher in exchange of your entrance ticket. Also, there was no hassle bringing in a carry on luggage with us. Don't forget to download the Sky 100 app for a unique interaction experience. Enjoyed going up the building via its fast elevator. It only took us 1 minute to go up 100 floors! OMG! It was great! Great experience. Beautiful view.l down there. You can see almost all Hong Kong views and it was great. And the building itself! So beautiful. Haha. I've never experience that great scenery. You must try! OMG! It was great! Great experience. Beautiful view.l down there. You can see almost all Hong Kong views and it was great. And the building itself! So beautiful. Haha. I've never experience that great scenery. You must try! Really an amazing experience. Awesome views over the Hong Kong skyline. Highly recommended for everyone visiting Hong Kong. The views are unique and not the same as that from Victoria peak. Hence, a must visit. Really an amazing experience. Awesome views over the Hong Kong skyline. Highly recommended for everyone visiting Hong Kong. The views are unique and not the same as that from Victoria peak. Hence, a must visit. Amazing views of HK skyline and harbor. I had my ticket after 6pm and could see daylight as well as sparkling skyline too once they were lit. Klook Ticket redemption was too easy and hassle free. I recommend this to all during their visit to HK. Amazing views of HK skyline and harbor. I had my ticket after 6pm and could see daylight as well as sparkling skyline too once they were lit. Klook Ticket redemption was too easy and hassle free. I recommend this to all during their visit to HK.